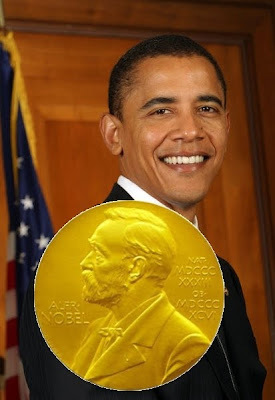 This morning I heard the news that Barack Obama has won the Nobel Peace Prize. Everyone I have talked to seems to be either elated or infuriated over this news. I am simply puzzled. I like Mr. Obama. I supported him in the US Presidential race last year. I am glad he won. I do not understand why he was awarded this most prestigious prize, however. He has a lot of promise, true, but what are accomplishments. other than being elected? What has he actually done? 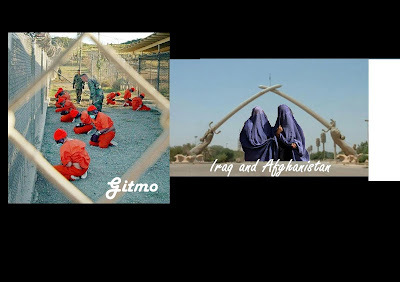 I consider here only on the international scene since that is really the scope of the Nobel Peace Prize..
Gitmo is still up and functioning, US troops are still occupying Iraq and the war in Afghanistan...Ah, yes, the war in Afghanistan. That one is going badly and there is no end in sight. Admittedly, in the past there have been some strange choices. 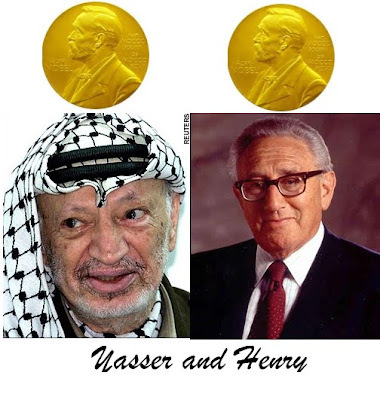 The two strangest have to have been Henry Kissinger and Yasser Arafat. One I respect and admire, the other I despise. This is not about my personal opinion of the men involved. 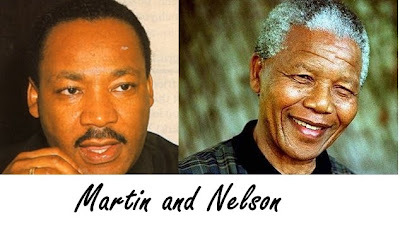 It just seems to me that these two men had greater interests than bringing peace to the world. Is Barack Obama really in the same league as Martin Luther King, Jr. and Nelson Mandela? Or my personal hero, Aun Sa Suu Kyu? 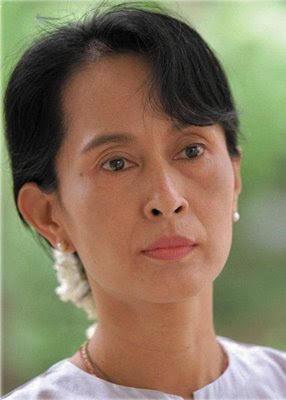 If you're interested, the whole list is at Nobel Peace Prize Winners 1900-2009. I do not believe he is in their league. Not yet. Perhaps in a year or two - or six or seven. My thought is that this is in the order of a bribe of sorts. "Mr. Obama, we're giving you this prize in the hope that you will live up to your early promise as the first great person of the new millennium. Maybe. I don't think he has been done any favours by being given this prize at this early stage in his presidency. it sets up further expectations of him that, if he is unable to fully meet them, will label him a failure, even if he has achieved much else. My instinctive advice to the President would be to graciously refuse this honour as not deserved, making a humble yet optimistic speech, that one day he'd hope to be worthy of it, but is not yet. I don't suppose it would be that good an idea, though. Next headlines would be "President Obama Snubs Nobel Prize".